Seattle's newest pro-sports team has sold all its season tickets and all seats for its April 22 home opener. Don't know rugby? It's more than striped jerseys and scrums. The former coach calls it "an open, flowing game with lots of creativity and athleticism." Here's a chance to learn the basics and meet the team. 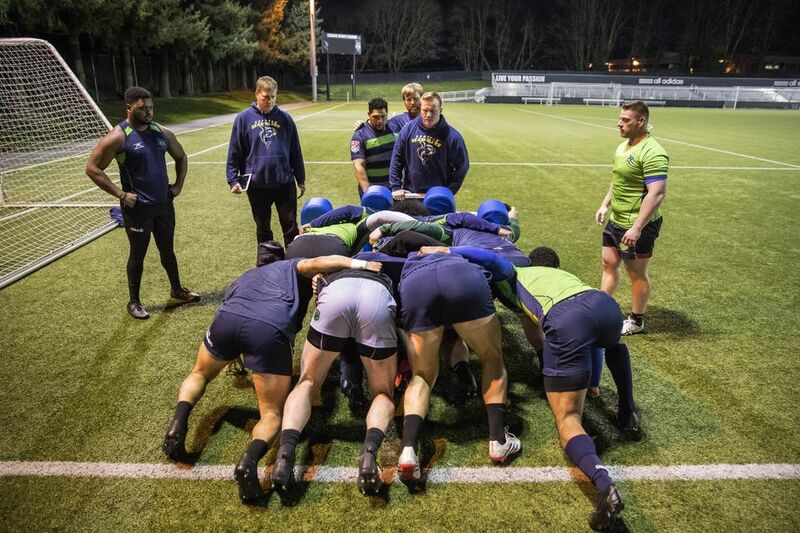 When Seattle’s first pro rugby team starts play April 22 at Starfire Stadium, it will be a home brew with Canadian accents. 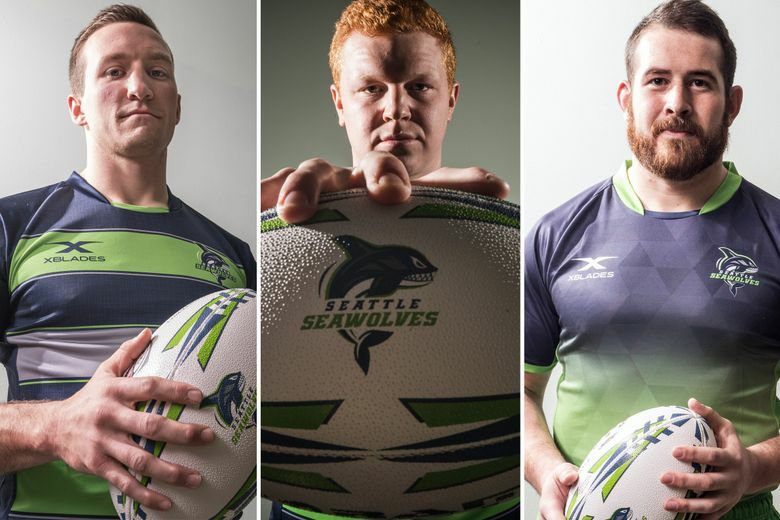 The Seattle Seawolves’ 30-man roster features 12 players who have played for the Seattle Saracens men’s team, the local club that competes in the British Columbia Rugby Union. Eight Seawolves are from Canada, many of them from teams in the B.C. 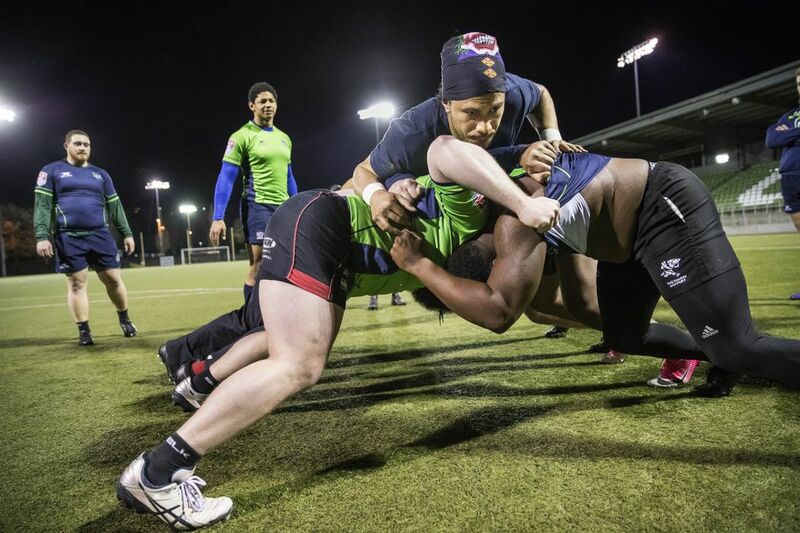 league, which means several previous opponents are teaming up to face the other six teams in Major League Rugby, the newest attempt at bringing a professional version of the game to the United States. The league will play a 10-week schedule from the opening April weekend until June 23, with semifinals and final games to follow. Phil Mack, who has played on Canada’s national teams more than 90 times, is coaching the team. Mack, a member of the Toquaht First Nation, also coaches Thunder Rugby, an indigenous team on Vancouver Island. 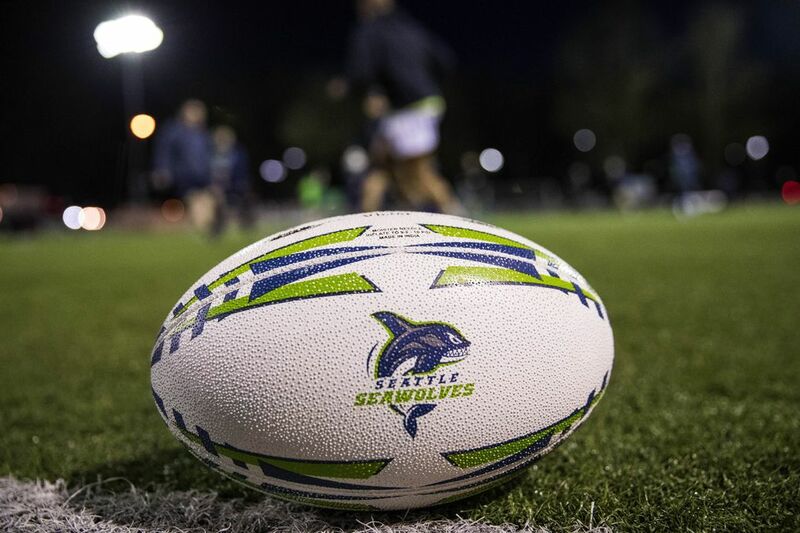 Inside Sports Business | Can a pro rugby team prosper in Seattle? Eight Seawolves have played for their national sides, and 11 have trained with or played for professional teams. The team comes from near and far, from SeaTac to South Africa. Kilifi started playing for a rugby club when he was 13 and has represented the U.S. 21 times, including in three 2015 Rugby World Cup games. Louie Henson also learned of rugby through his father Gerry, known in the Pacific Northwest rugby community as “Dumper” and a founding member of the Chuckanut Rugby Club in Bellingham. “He never pressured me to play; I got into it on my own,” Henson said. But Henson remembers being on the sideline at Chuckanut games from when he was 8 or 9 years old. He played football all four years at Auburn High School and then captained the Western Washington University rugby club for four years. The Vikings won the Northwest Collegiate Rugby Championship in three of those years and went to the national college tournament all four years. He was in England training with the Henley Rugby Club when he received an e-mail from Curry Hitchborn, a coach at the University of British Columbia and now the Seawolves’ rugby development director. 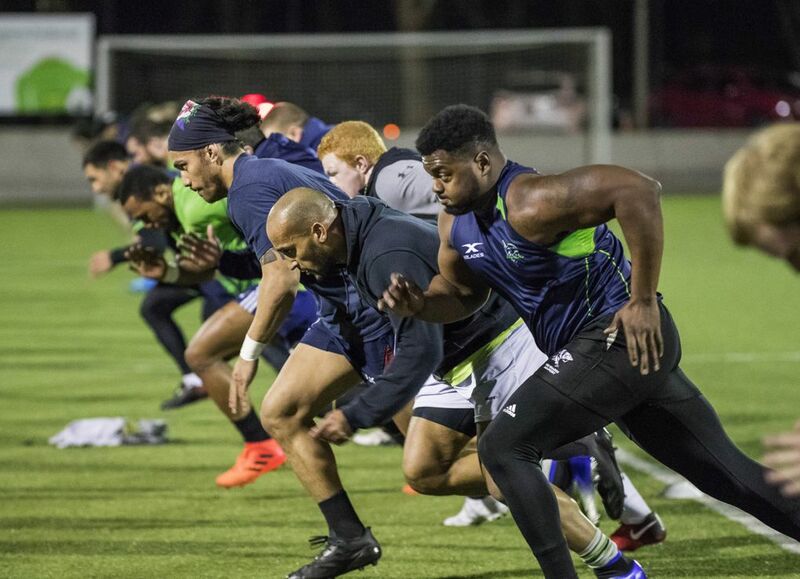 Kilifi is one of the Seawolves who has played for the Seattle Saracens for several years. But in 2016 he signed to play for the Sacramento Express, part of Pro Rugby, an attempt at bringing the professional game to the United States that lasted one season. Although he says he never expects to collect money owed him from that experience, he reflects favorably on professional rugby. It’s important in improving the American game, he says, giving the best players a chance to square off against each other. 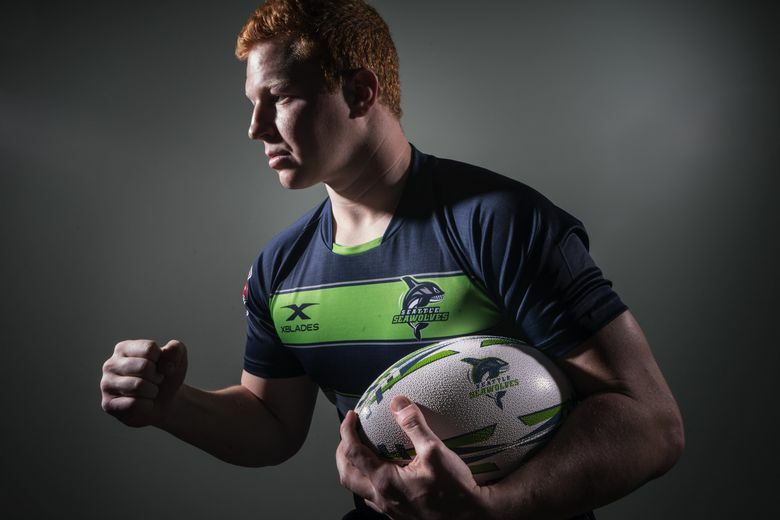 Another veteran from Pro Rugby is Riekert Hattingh, 23, who comes from Pretoria, South Africa. He visited the United States in 2014, liked it and decided to return to play with the Ohio Aviators in 2016. He stayed in Columbus, planning to play another season with the team, but when the league went dormant, he turned to coaching, helping with the Ohio State University team and Scioto Valley, an amateur club in Ohio. In South Africa, he played in the Vodacom Blue Bulls organization, part of the Super Rugby league, with some of the best professional teams in the Southern Hemisphere – many would say the world. Start-ups are nothing new to Skinner. After 16 years with Enterprise Rent-a-Car, he started Record360, a digital forms technology company. The firm grew out of his experience at Enterprise, where the condition of vehicles being checked out and in meant lots of paper. Record360 now has 389 customers in 13 countries, keeping track digitally of almost any rented item subject to damage. Growing up in southern Delaware, Skinner played soccer in high school and then at York College of Pennsylvania until he became aware of the rugby team. With Enterprise, he worked in Bath, England, where he played for Oldfield, whose senior players were occasionally called up to play for the professional team in town. He played with teams in Philadelphia and Milwaukee while with Enterprise. Now 45, he’s playing fullback for the Northwest Old Boys (the NOBS), a Pacific Northwest masters team. He came to Seattle in 2008 as Enterprise’s head of finance for the Pacific Northwest and became involved with the Alliance of Angels, a group of entrepreneurs and business leaders directing investment to new enterprises. That’s where he met Adrian Balfour, an Irish rugby player, CEO of envorso (a business development company) and someone who knew of a coming U.S. professional rugby league looking for investors. Skinner talked Balfour into coming out for the NOBS, and Balfour talked Skinner into investing in the Seawolves. “And he’s been cursing me ever since,” Balfour joked. Balfour and Skinner have talked more than 20 other investors (including New Zealand-based Canterbury Rugby Union and the Crusaders Super Rugby team as well as some members of the NOBS) into joining them with smaller stakes. Given the recent, short life of Pro Rugby, investment in another attempt at professional rugby in the United States might seem unattractive. But Skinner liked the organization of Major League Rugby (team owned vs. league owned) and the media deal the league had with CBS Sports Network, which will feature a game a week for 10 weeks and air the two semifinals June 30 and the final July 7. MLR has since announced agreements with ESPN and AT&T Sports Networks to stream or broadcast the other 18 league games. MLR announced this month that Root Sports would carry Seattle matches. The Seawolves have sold out all their season tickets (1,800) and all seats (3,500) for the home opener April 22 against the San Diego Legion. Besides Seattle and San Diego, the other MLR teams are from Austin, Houston, New Orleans, Glendale, Colo., and Utah. A New York entry plans to join in 2019. Skinner wants to win games and doesn’t want to lose money. But he says he mostly wants to advance the game of rugby, providing an opportunity for kids to see and play the game. That includes his two sons, ages 6 and 3, he has with his wife Rebecca. Correction: An earlier version of this story incorrectly referred to Tony Healy as the Seawolves’ coach. A Canadian, he was unable to get a work visa and is no longer coach. Imagine American football with no forward passes, no blocking, no downs and 15 ball carriers on each team. 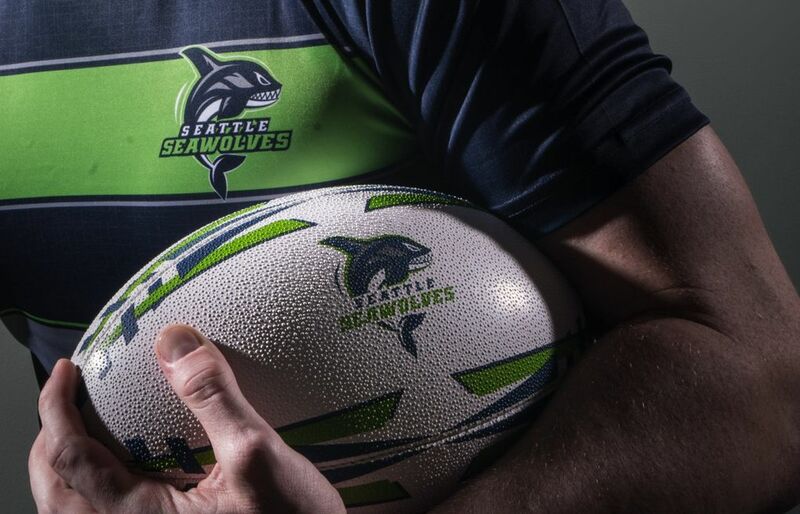 That’s rugby union, the game the Seattle Seawolves will play starting April 22 at Starfire Stadium. Rugby is more than striped jerseys and scrums, where eight players form a wedge to push against the opposing pack while an egg-shaped ball is rolled between them. The scrum, forerunner of the line of scrimmage, restarts the game after a minor infraction, such as throwing or fumbling the ball forward. More exciting for the spectator is what happens when the ball comes out of the scrum and into the hands of a ball carrier. With no blocking allowed, players ahead of the ball carrier are useless — and offsides (more on that later). So the 14 players without the ball fan out behind the runner to either catch the ball when it is lateraled to them or secure the ball when the runner is tackled and must release it. Either team can gather up the loose ball. To keep from losing the ball, two or three of those players trailing the tackled player step over him to protect the ball until someone arrives to pass it out for more open-field running. Meanwhile, opponents are trying to take the ball away. If the ball carrier is held up in the tackle, the supporting players can push him forward until the ball is smuggled back and passed out again. The opposing players push back, of course, but have to stay on their side of the ball. Otherwise, they are offsides. For most situations, the ball represents the offsides line. But when the ball is kicked downfield, the offsides line stays with the kicker. Until he runs past his teammates, those in front of him cannot play the ball or tackle the opponent catching it. When the ball goes out of bounds, play restarts from a lineout: The ball is thrown from the sideline between two parallel lines of players who jump for it. The object of running, kicking and passing the ball down field is to touch it down on the other side of the goal line, worth five points. “Touched down” means a player must apply downward pressure on the ball for a “try.” If opponents get under the ball or carry the runner out of the scoring area – or if the runner dribbles the ball – there’s no score. It happens. After the ball is touched down, the scoring team gets a “try” at kicking the ball through the uprights for another two points. The kick must be taken straight out from where the ball was touched down, which is why scoring players, if they can, run to the center to touch down under the goal posts – to give their kicker a straight-on shot for the extra two points. Points can also be scored by drop kicks (three points) from anywhere on the field (the rarest way of scoring) or from penalty kicks (also three points). Penalty kicks are awarded to teams when their opponents play while offsides or engage in dangerous play (high tackles or not leading a tackle with arms first, for instance). Penalty kicks are place kicks taken from where the infraction occurred. A game is 80 minutes, divided into two 40-minute halves and played on a field 100 yards long (the goal posts are on the goal lines) and 65 to 70 yards wide. The official time is on the clock inside the pocket of the one referee on the field. He or she can call a timeout for injuries or substitutions, but otherwise time runs continuously. Now imagine American football with no pads and no helmets.